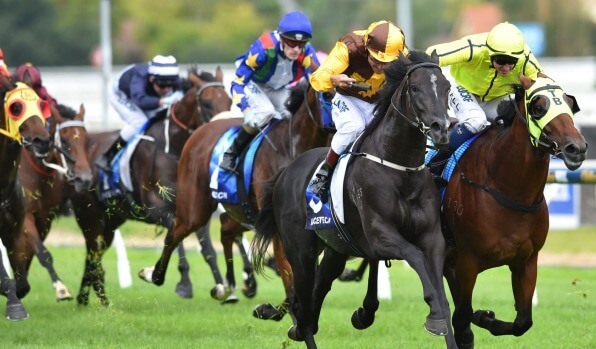 Read Trev's preview before playing your Caulfield Quaddie this Saturday. Track/Course – Rails out 6m – Last time rails were in this position it favoured the middle of the track. Hit line nicely second up over shorter trip. Gets out to distance where she hit her peak figure last prep. Produced career best rating last start over this distance. Doesnt have to run to same figure here to be competitive. Racing consistently this distance range. Has slightly better draw today. No luck past couple. Well graded with claim here if can return to form. Even run last start. Should be ready to perform to near best here fourth up. Not suited last start week down the straight. Held up in run, solid win before that. Looks suited out to this trip. Honest run last start in Sydeny. Form out of those races has been good. Has solid claims here. Had excuses last week when hung badly in the straight. Can improve here. Racing well over this distance. Has claims. Solid enough forst run down ther straight. Has good record this trip, maps well. Not suited last start on a softish track. Better suited here back on the dry. Good record this trip. Won last start for first time in almost two years. Not sure it can repeat but doesn’t need to run to last start figures to still be competetive here. Hit line good last start over slightly shorter trip. Should be competeitive here. Has run well this way of going in the past. Hit the line nicely last start over slightly shorter trip. Has dropped significantly in weight here. Won past two in lesser grade. Rises in class here but drops significantly in weight. Is on the quick back up for the first time but has solid claims.